Founded in 1919 after World War I, the Museo Storico Navale (Historical Naval Museum) is filled with four storey of Venice's seafaring history, including some interesting maritime objects, banners flown by the Venetian fleet at Lepanto, and numerous antiquities like gear, models, suits and boats. On the ground floor, there are galleries containing weapons - cannons, swords and sabres, and blunderbusses. 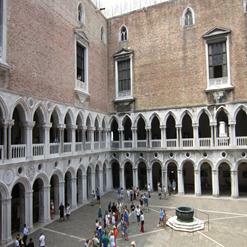 The museum is the most important of its type in Italy, and the glory and historic commemoration of the Republic of Venice can be clearly seen in the collections.